My best food when I travel to Dsm. One of the greatest things to eat in Tanzania is mishkaki. 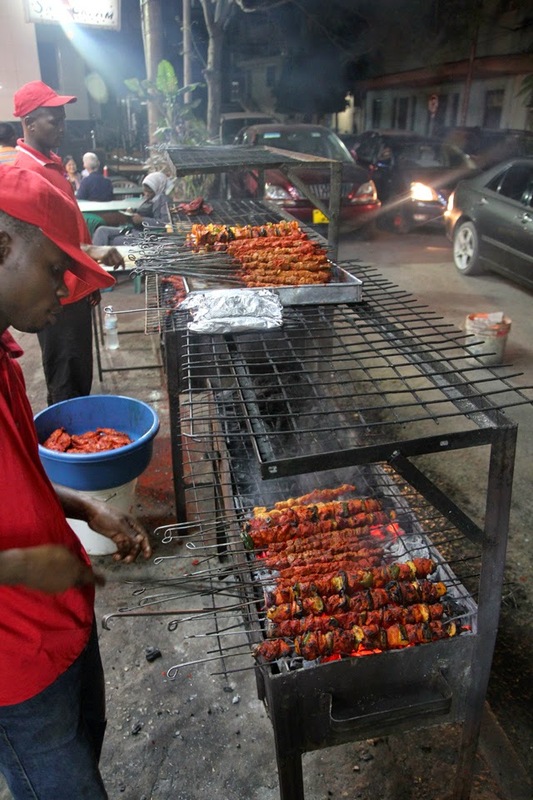 It’s the Tanzanian version of the skewered shish kebab. Mishkaki is a creation that contains a little African, a little Middle Eastern, and a little Indian influence to it. Beef and chicken are the most popular, but fish is also occasionally available. One evening in Dar Es Salaam, we headed to a downtown restaurant known simply as Ali’s. As a street food lover, one thing you just got to love is how Ali’s uses the street (this is not a private street, this is a public road, although small and quiet), as their own personal drive through. Cars will roll past, stop in front of Ali’s and yell out their order. If a car who is not purchasing food rolls up behind them, they get honked at a few times and more times, and then have to maneuver their way around. Garlic naan cooking in just a few secondsAlong with mishkaki, Ali’s serves garlic naan. 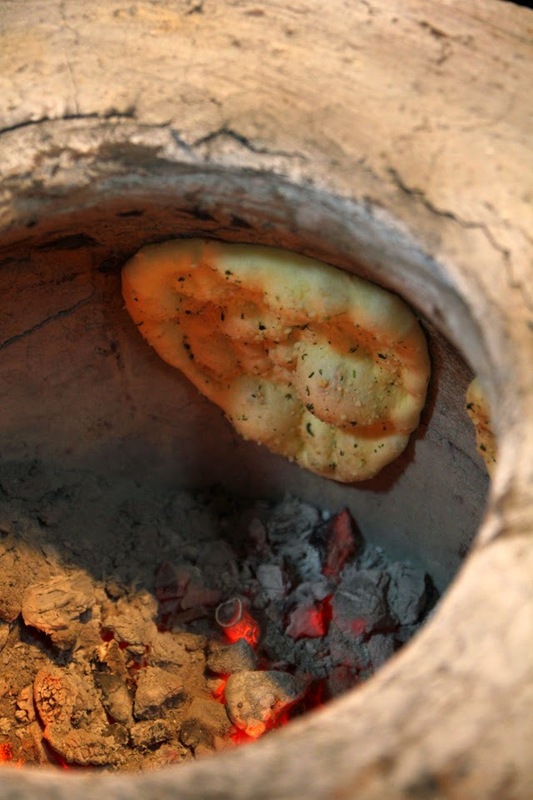 No roti, no chapatis, no other kinds of bread, just buttery garlic naan – and it’s stunning! 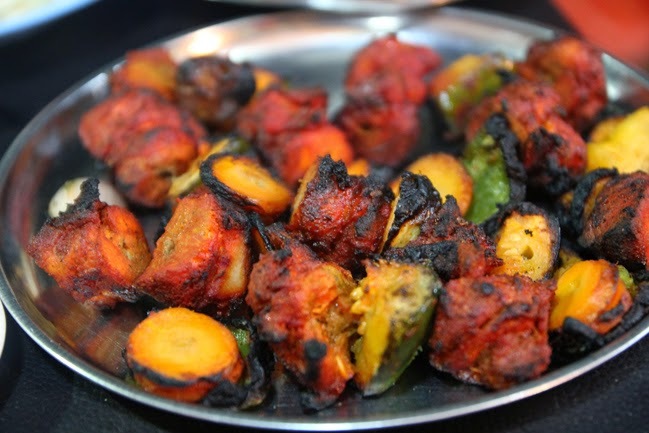 The tandoori oven is just as it is in India, right along the street so it pours out delicious aromas. 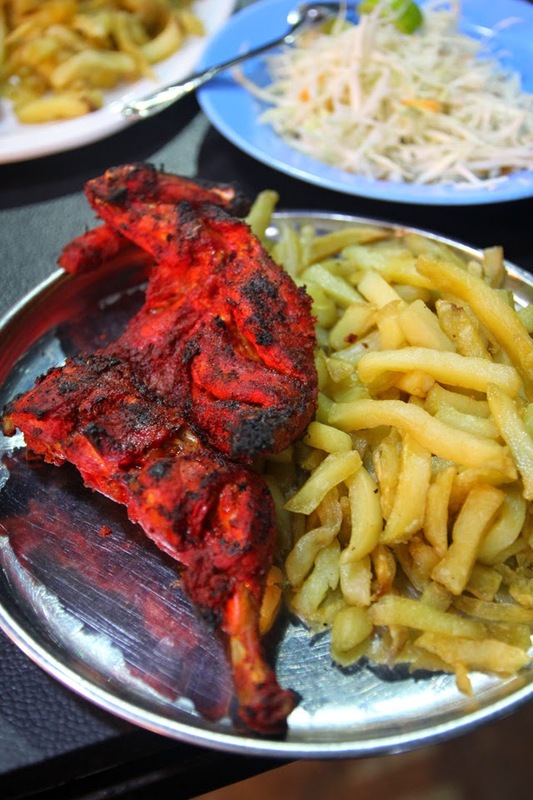 Along with mishkaki and garlic naan, Ali’s also offers a few items like fried fish and chips, and red bbq chicken and chips. The fish wasn’t my favorite, a little on the dry side. I ordered mishkaki and naan. *One thing to remember for Tanzanian food, grilled means griddle fried, and barbecue (or bbq) refers to meat cooked on the grill. The skewer of beef mishkaki was medium sized, and the meat was tender yet still had some gamey African texture to it. As opposed to nyama choma, that’s just straight up roasted meat with salt, mishkaki is first marinated in lemon juice, tomato sauce, garlic, and a mess of spices like coriander, cumin, turmeric, paprika, and chili powder, before being grilled. The beef mishkaki was excellent. The buttered garlic naan at Ali’s was excellent. It was fluffy, not overcooked, and stacked with garlic and a touch of fresh coriander. The chicken mishkaki was monstrous. When the chicken chunks were de-skewered onto a plate, they filled it entirely. There may have been a half a chicken on a single stick!